DRAM market is not expected to rally until the fourth quarter. 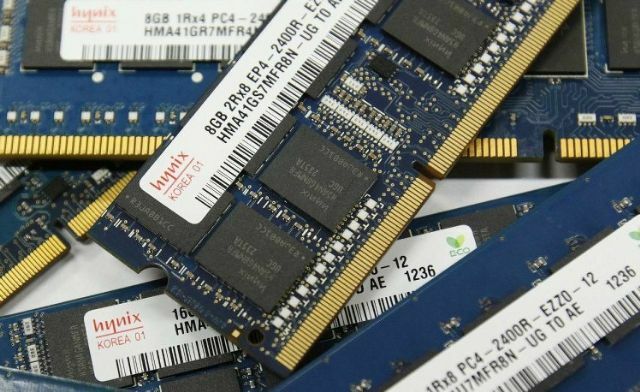 Retailers feel that a market rally is not likely to materialize in the dynamic random access memory (DRAM) industry until the fourth quarter in light of the 15-percent fall in the price of the memory chips in a week, which dipped below US$3 per DDR4 4Gb chip, the mainstream DRAM. To shore up the market, Samsung Electronics Co., Ltd., reportedly the world's No.1 DRAM chipmaker, has announced cutting production of the chips used in PCs and shifting the idle capacity to production of the memory chips used in mobile phones. Industry executives blame the price slump on weak demand rather than oversupply. Originally, they expected the demand to pick up in the third quarter, normally a high season for electronic products. However, the seasonal surge has failed to materialize due to weak demand for smartphones and laptop PCs coupled with gloomy business forecast from Micron Technology Inc., the world's No.3 DRAM chipmaker. According to market consultant TrendForce Corp., in the second quarter Samsung bagged 45.1 percent of the global market for DRAM chips, up from 43.1 percent in the first quarter; SK Hynix Semiconductor Inc. had a 27.7 percent share, increasing from 27.3 percent; and Micron controlled 20.6 percent, down from 22.5 percent. The market consultant ascribes Micron's share reduction mostly to the company's lagging pace to migrate to the 20-nanometer process. The consultant estimates the market to remain harsh for DRAM makers in the quarters ahead, albeit a temporary rebound may come in the Christmas shopping season in the fourth quarter.